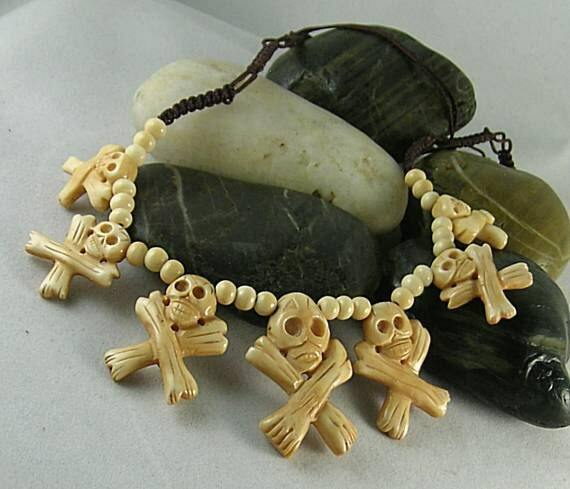 Skull and Crossbones make this bone necklace truly unique. 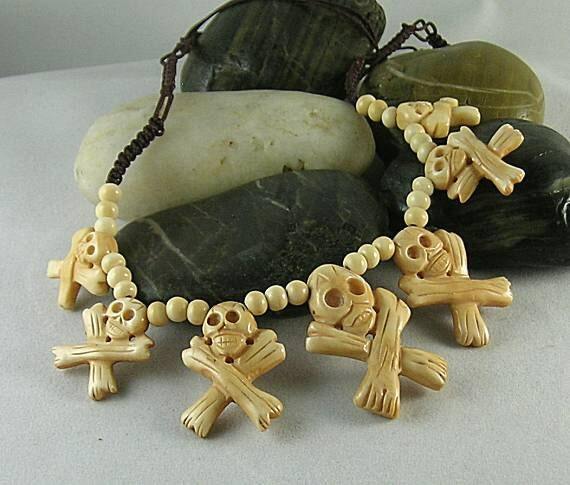 Seven carved bones pendents vary in size with the largest in the center front. 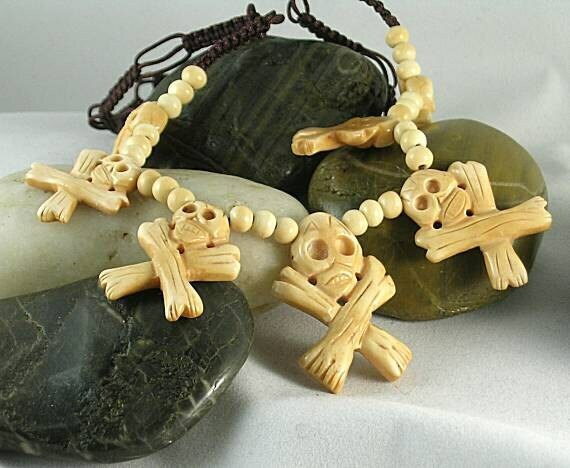 Thay are separated with round bone beads and have squareknot macrame cord to complete the length. 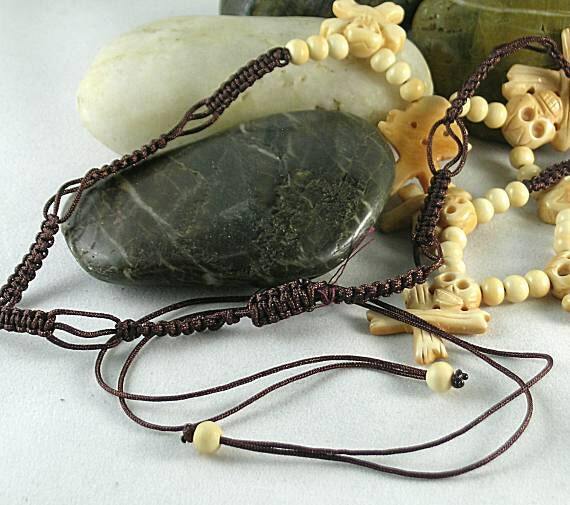 The necklace has a macrame slide closure that can increase the length from 21" to 32". One of a Kind! 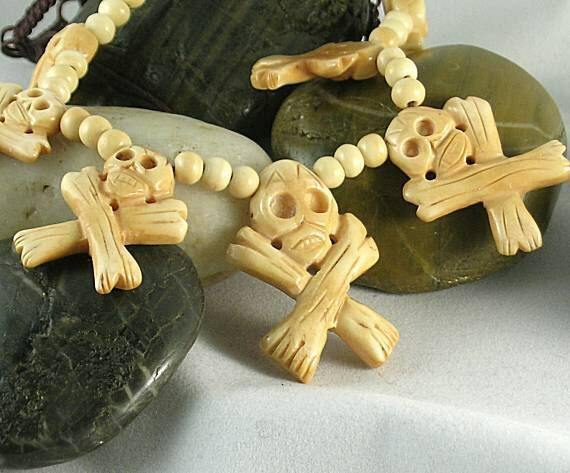 This is the type of jewelry commonly worn by the indigenous people of the Americas during the time of exploration by the Europeans in the 15th and 16th centuries. Shipped via USPS-Priority Mail - Insured in a suede cloth gift bag.